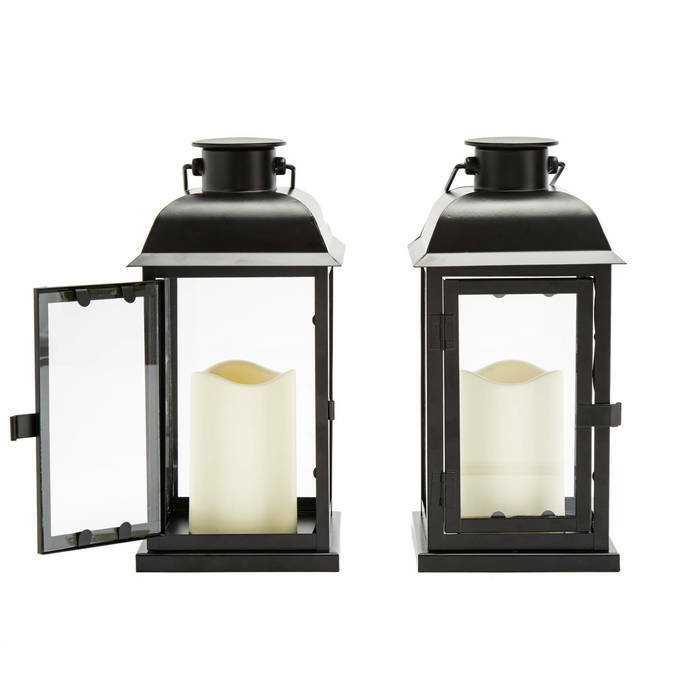 There are only 382 available of the Chelsea Solar 11.5" Black Metal Flameless Lantern, Set of 2. Your selected quantity has been adjusted. 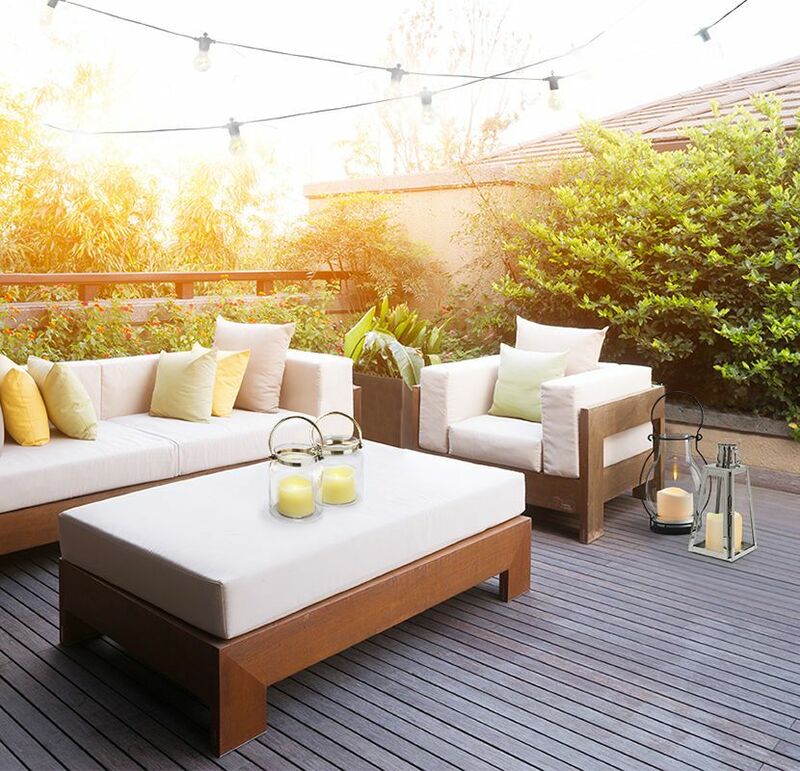 The Chelsea Set features two lanterns with traditionally tapered roofs, minimal, black metal frames, and a warm glow - perfect for adding a touch of elegance and inviting ambiance to your patio or entryway stairs. 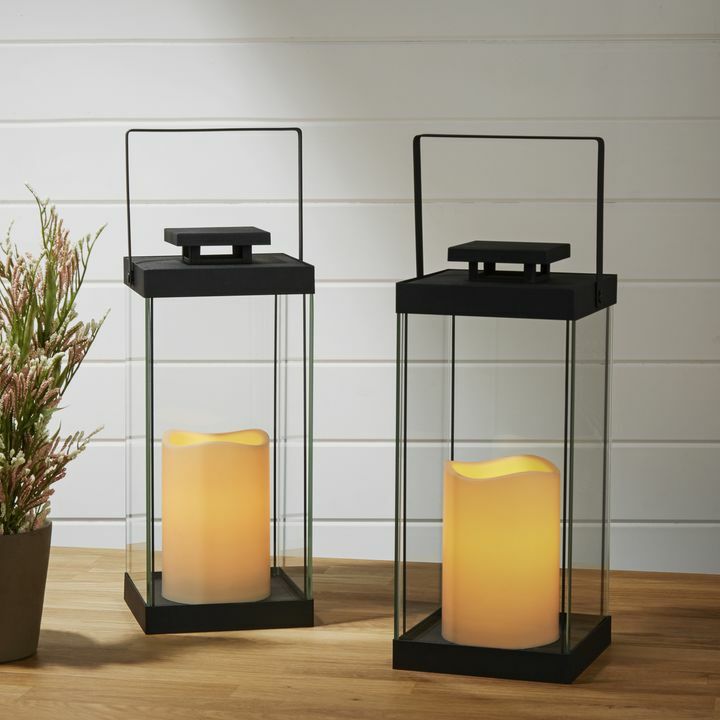 Each lantern contains a resin flameless candle with a lifelike melted-edge and realistic flicker providing the benefits of a candle without the worry of wax drippings or open flame. The lanterns are powered by a solar panel atop the roof. With the sun's help, they will recharge throughout the day and automatically turn on at dusk providing light well into the evening. Great looking lights. Have them on my front porch. LOOKING GREAT ON OUR DECK, HOPE IT IS LONG LASTING. These lanterns are hanging off of shepherds hooks placed aesthetically apart so they are noticeable from a distance. 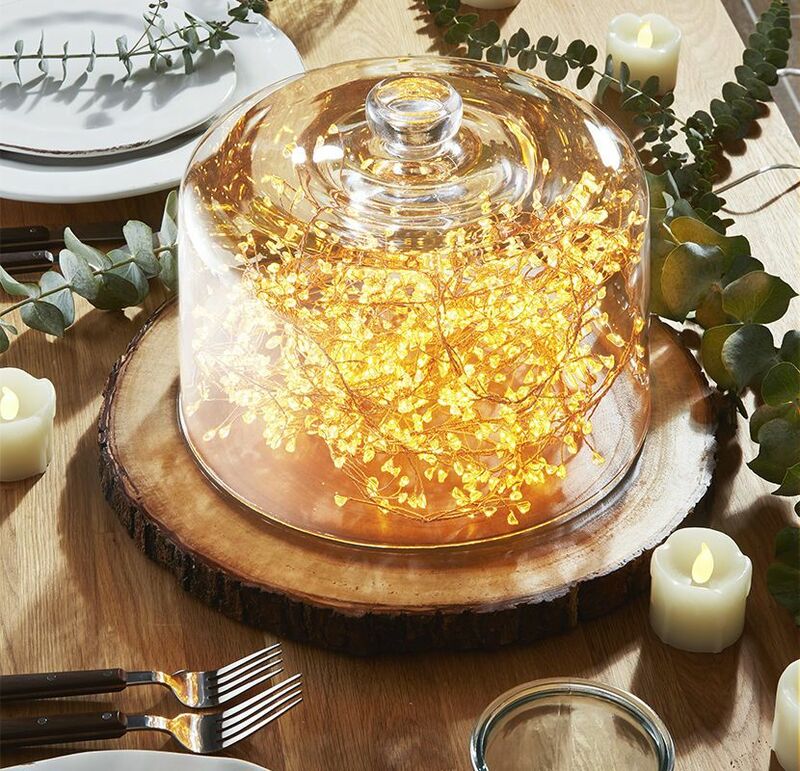 ItÐ²Ðâ¢s a warm glow, so very inviting. I hope they hold up in the elements. They are very good quality. 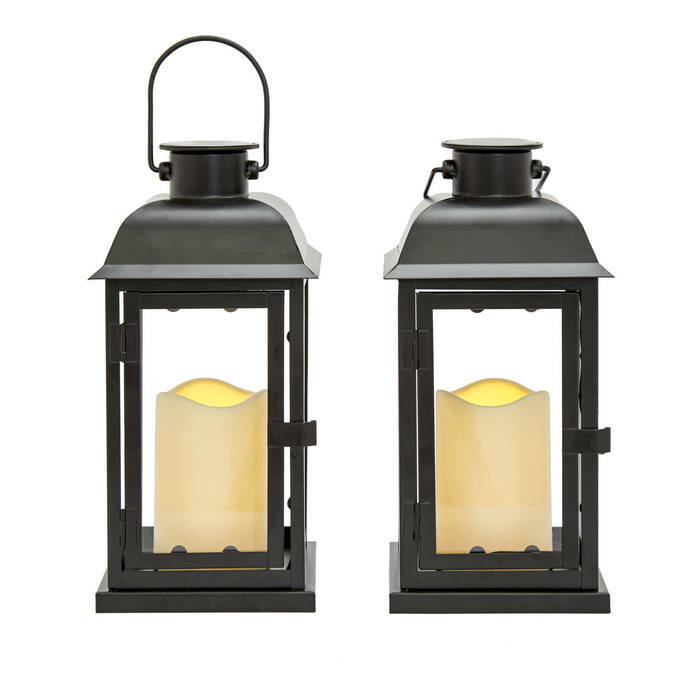 These lanterns are as pictured - were packed/delivered well. Good quality and give off a soft glow. 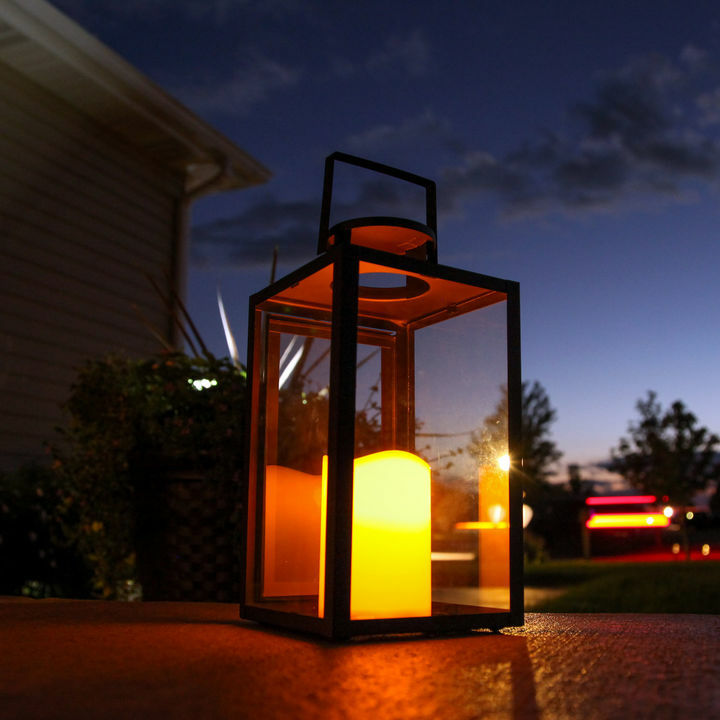 We placed them on our deck and even on a cloudy day, lanterns give off light until the next morning. These are a great addition to our yard. We got tired of all the timed candles that needed battery changes and then you could never find the instructions how to reset the timer. Beautiful set, exactly as pictured. Great price & fast delivery time. Customer service is fantastic as well, would definitely order again. IÐ²Ðâ¢ve yet to receive them! Where can you get the batteries for these? You can buy the 600 MAH batteries for the Black Metal Flameless Lantern in big Hardware stores such as Home Depot, Lowes or Amazon. 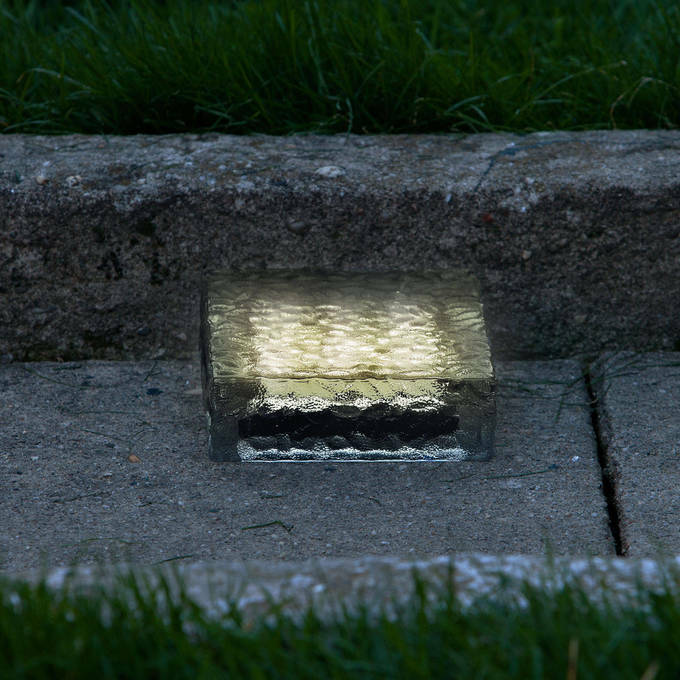 The Solar 11.5\" Black Metal Flameless Lantern automatically turn on at dusk and stay on for many hours. After a full 8 hours of charging in the sun, they can stay on for about 6-8 hours after nightfall. What is the height including the hanging handle? 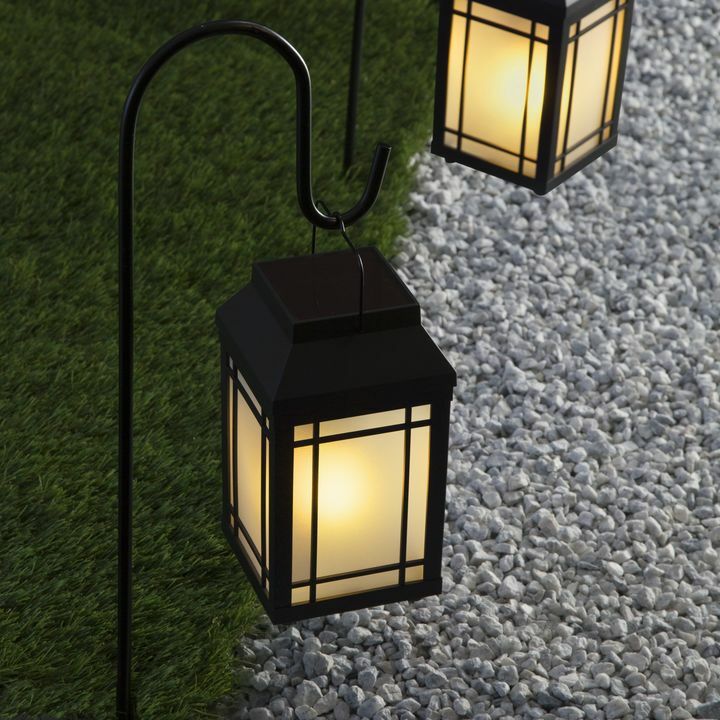 The height of the Solar Black Metal Flameless Lantern, Set of 2 is 11.5\"
Will these rust over time if left outside, put on metal table? What kind of metal are they made out of? 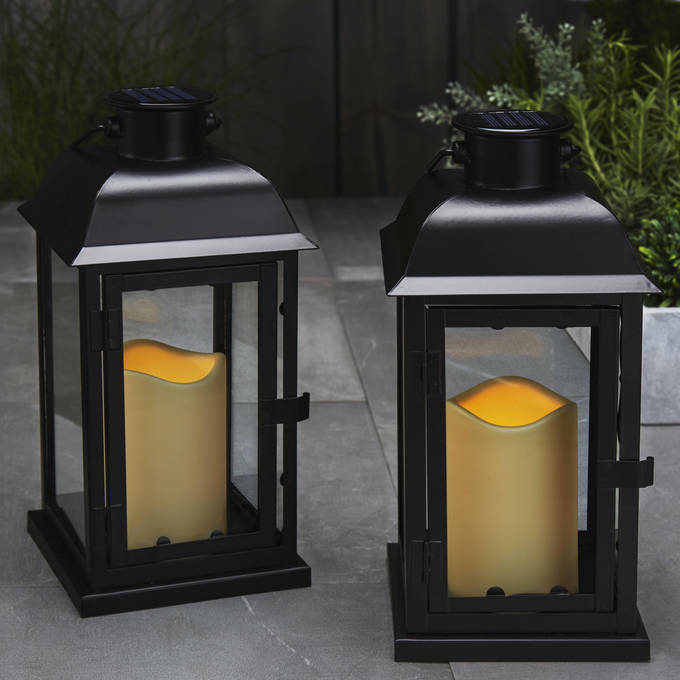 The Solar 11.5\" Black Metal Flameless Lanterns are coated with a weather-resistant paint and should be fine outdoors. We don't recommend leaving them in places that can flood or puddle, and we recommend bringing them inside during extreme weather. 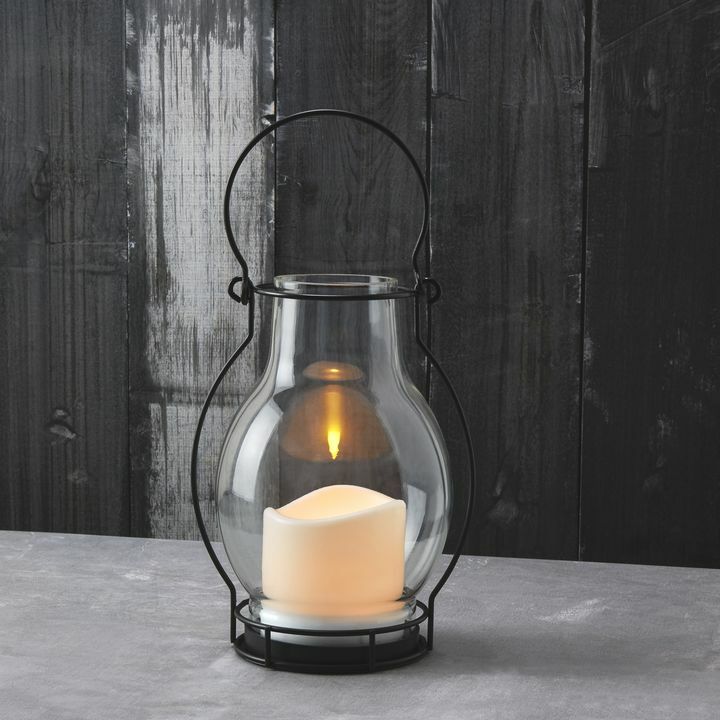 Are the candles secured to the bottom of the lantern or are they loose? 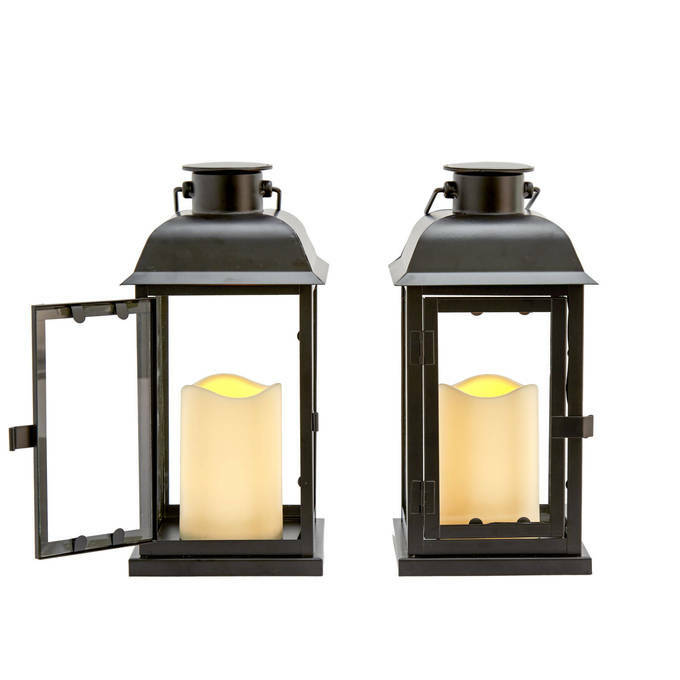 The Solar 11.5\" Black Metal Flameless Lantern, Set of 2 candles are secured from the bottom. They cannot be removed. 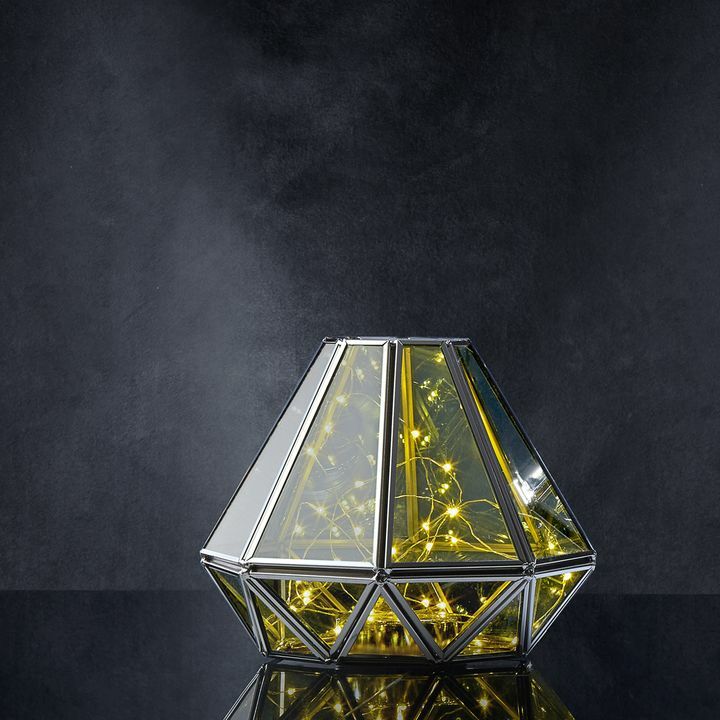 can the lanterns be left outside during the winter months? 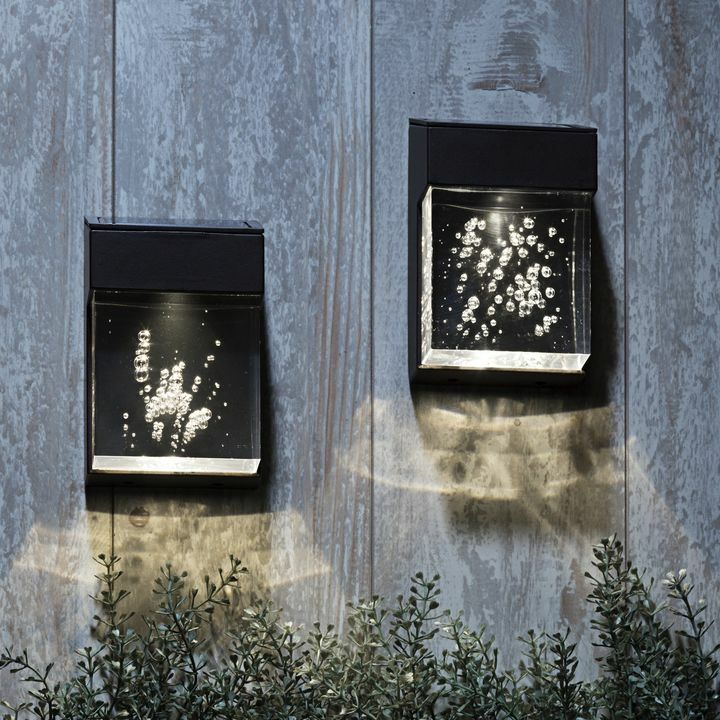 The Solar 11.5\" Black Metal Flameless Lanterns can be left outside, but you'll want to make sure they aren't in a snow bank or left in puddles. 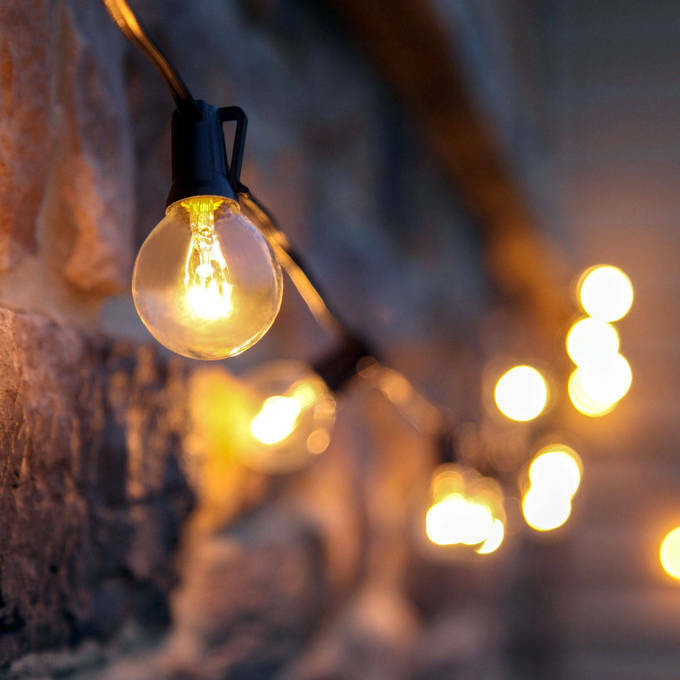 With less sun, they may get a full charge and be lit for a shorter amount of time. Can hanging handles be easily removed and reattached later? Yes, the handles are removable. How many lumins of light does it put out or does it just glow? 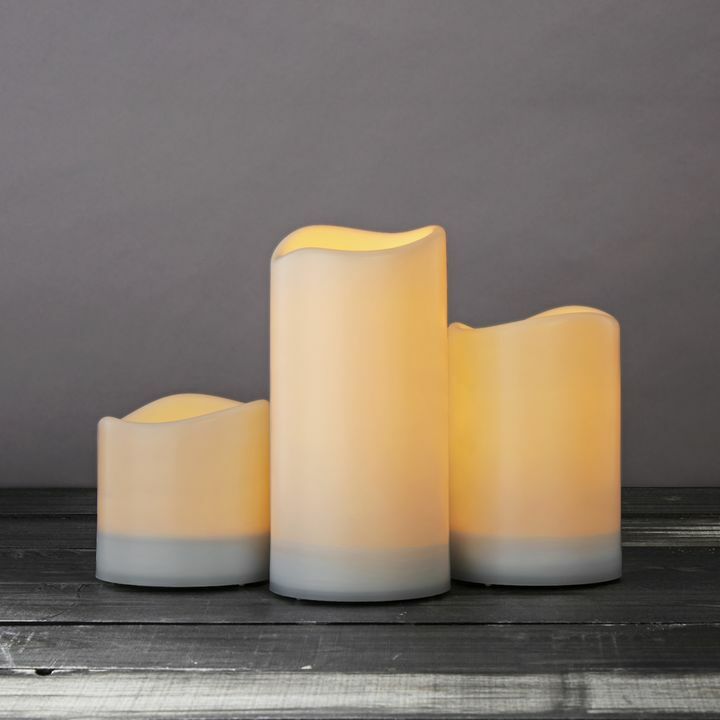 For our candles, there are no lumens. It gives off a soft glow. Are these plastic or iron? How heavy are they? I am hoping I can leave them outside and they will not be blown around by the wind. Are they weather resistant? Are the clear windows glass or plastic? 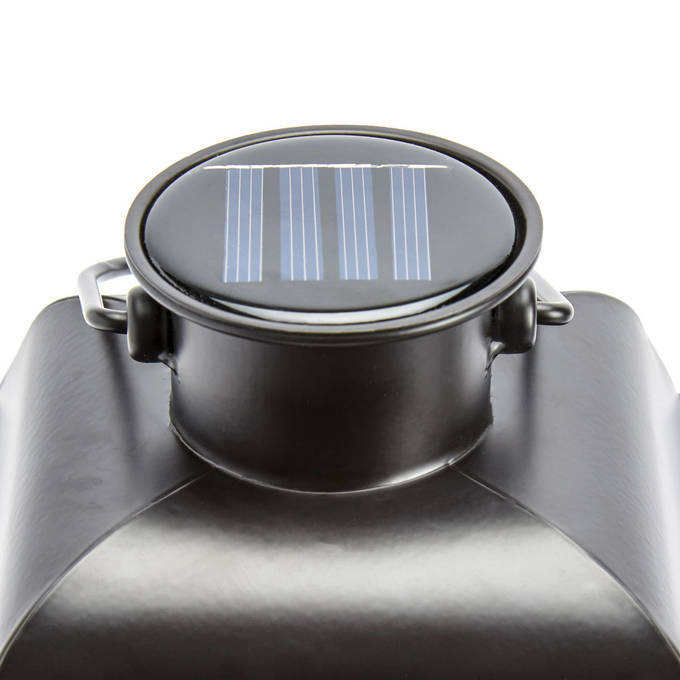 The Solar 11\" Black Metal Flameless Lanterns are made of metal. They are heavy enough so that they will not be blown around by the wind. 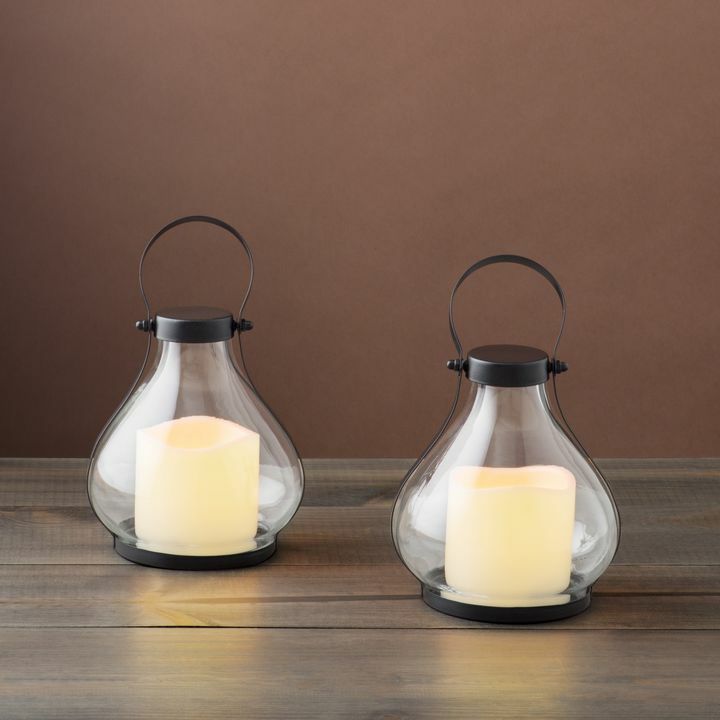 The lanterns are suitable for outdoor use. The windows are made of glass.